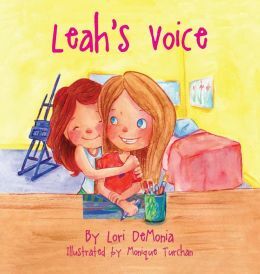 Posted on June 27, 2014 by Patricia Tilton •	This entry was posted in Children's Book Review, Lori DeMonia, Sibling with Special Needs and tagged Autism Spectrum, Compassion, Family Relationships, Kindness, Siblings, Special Needs. Bookmark the permalink. Reblogged this on Plum Tree Books Blog. Thank you for reblogging on Plum Tree Books! So kind of you! This looks great Patricia. You do such wonderful work to bring such books as these to the attention of those who are looking for something special. Yes, I love to find new books on autism — especially those with a different perspective. I love the cover. It sounds like a clever idea and a simple way of explaining autism. Yes, it is a good introduction books for kids. Very easy for them to understand. It is a cute book with a helpful message about acceptance and kindess. Thank you – this looks wonderful and I am adding it to my summer reading list! Glad you enjoyed Lori’s book. I think it is important to introduce young children to subjects like this. You never know when they may have a friend with a sibling that has autism or any health issue. YES! My oldest has Asperger’s. He attended K-6 in a school that had many programs for kids on the Spectrum. His grade school did a fantastic job in making inclusion work and educating the entire school population. The kids who attended this school are consistently more understanding and considerate to others with different needs now that they are in a high school with kids who went to 3 other grade schools. Early education works both for kids on and off the Spectrum! Thank you for sharing. I’m so glad that inclusion worked for your son. It shows that if you work with the students at and early age, they are far more compassionate and understanding. I’m glad he had such support. What a great premise. SUCH a necessary piece of literature for so many children. Great choice. Yes I agree. This book is simply written so that children understand what a sibling goes through. Great classroom book! It really is an excllent sibling story. Thanks for tweeting! This looks excellent. Thank you for sharing it! It is an excellent story for siblings! Thanks for stopping! Looks like a cute book! Autism can be so confusing for kids. Family dynamics are such an important factor. My experience has been that siblings of little people with autism tend to be incredible little human beings! What an interesting observation! Thanks for the comment. Lovely book and review. Agree with rhythm, regarding siblings. Yes, I liked Rhythm’s comment too. Children who grow up with a sibling that has a problem, are very protective and loving kids. This is a great book! Thanks Erik! I’m glad you enjoyed the book!